The smallest stitches make the biggest difference. With ProGARM garments, Arc Flash protection and flame resistance is delivered from the seams up. We use only the highest quality Flame Resistant threads in the structural seams to offer maximum protection. We’ve also identified high stress areas and ensured that the stitching on those is equal to the rigors of daily use. You can rest assure that your team is protected from the smallest stitch upwards. We’re so confident of the durability of our structural seams that we offer a lifetime seam guarantee. This guarantee is integral to ProGARM’s unparalleled commitment to the quality of our products and the satisfaction of our customers. 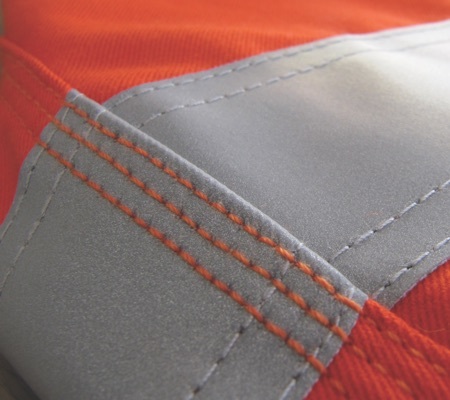 Our lifetime seam guarantee applies to the main structural seams on a garment. It does not apply if the seam has split due to mechanical damage that tears or cuts the seam because of contact with sharp edges or tools, or if the fabric is otherwise worn out from general wear. In the unlikely event that you should have any issues with the seams on a garment, please contact our UK sales office to discuss. Seams designed to last – just another way we help to look after your team every day.